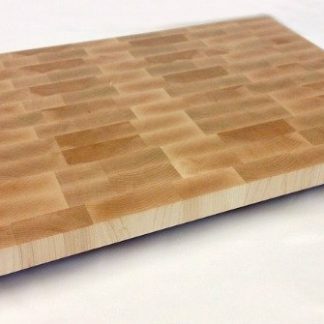 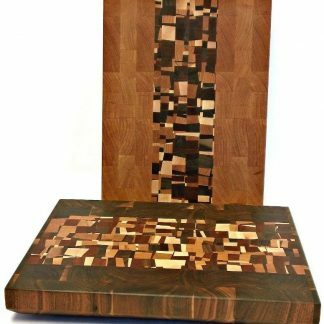 Our most “knife friendly” cutting boards, butcher blocks are an end grain design. 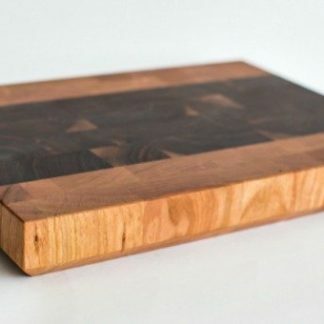 Knives tend to part the wood fibers (a bit like bristles on a brush) instead of cutting them which dulls your blade faster. 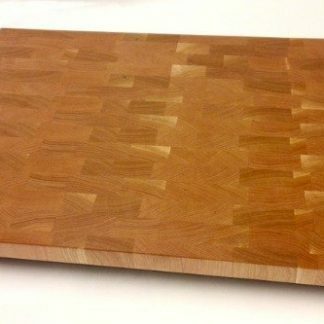 Shown here without their non-skid feet installed, the beveled edge makes them easy to pick up with confidence. 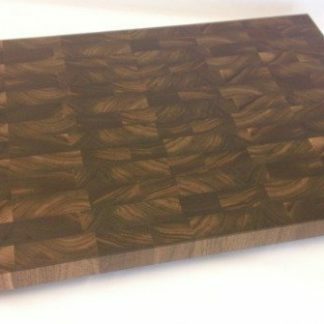 Besides looking amazing, a contrasting border on your butcher block can draw attention to an engraved name or logo. 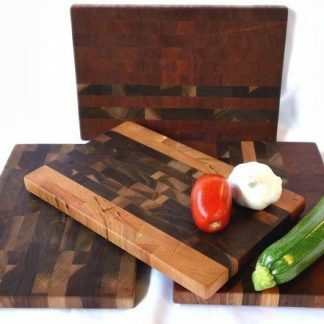 They're also a great option when you simply can't decide which wood you want! 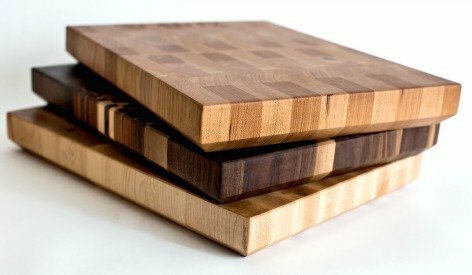 Solid Maple, Cherry or Walnut butcher Blocks. 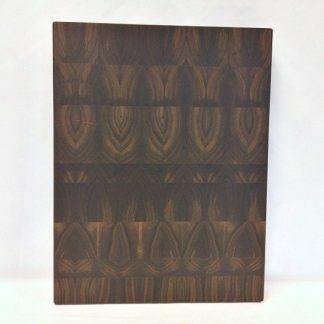 2" thick with a modern looking beveled edge design. 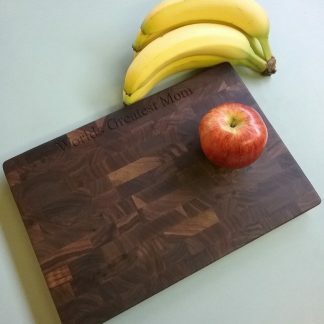 Custom sizes and engraving available in all woods.